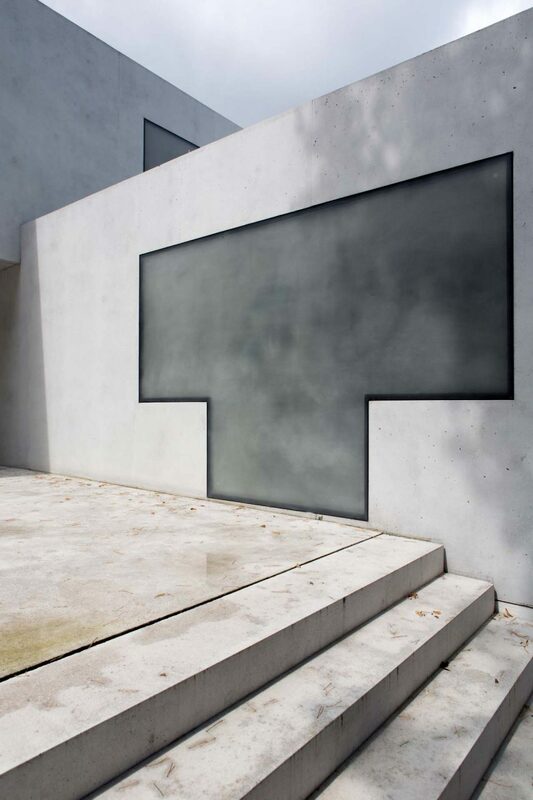 The new Master House Gropius, by Bruno Fioretti Marquez Architects 2010-2014. 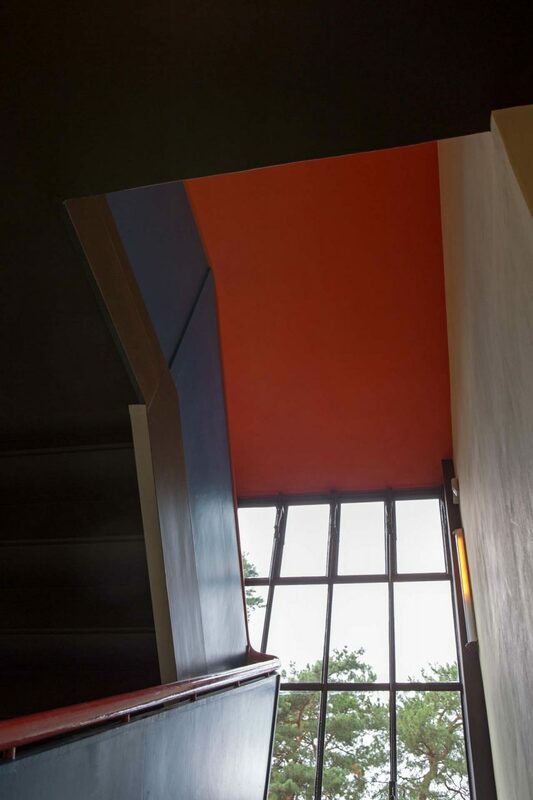 Coloured staircase in the Dessau Master House by Paul Klee. 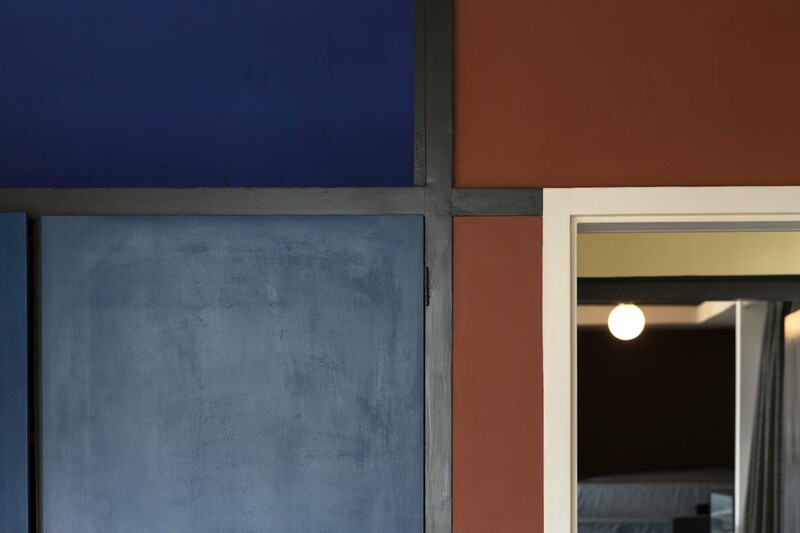 Wall detail in the Dessau Master House by Wassily Kandinsky and Paul Klee. Gilded wall niche in the living room of the Dessau Kandinsky/Klee Master House. 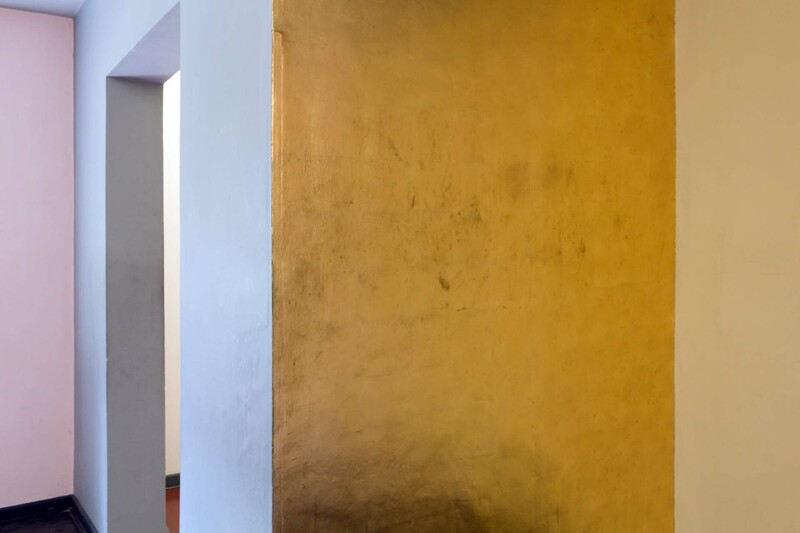 Wassily and Nina Kandinsky's gold wall piece made of impact metal was restored in 2003. 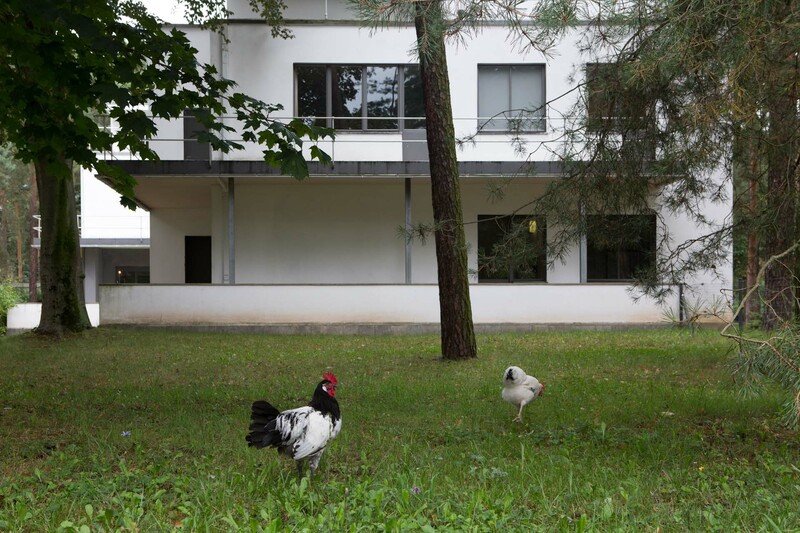 "Parallel to the Bauhaus building, Walter Gropius was commissioned by the city of Dessau to build three identical semi-detached houses for the Bauhaus masters and one detached house for the director. They were built in a small pine forest on today's Ebertallee. Gropius' plan was to build the building ensemble according to the modular principle with industrially prefabricated parts. 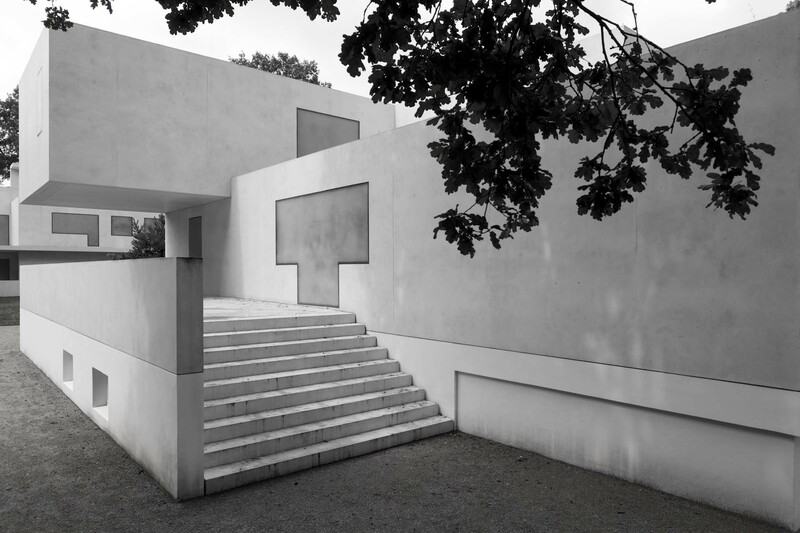 He wanted to implement the principles of rational building, both in architecture and in the process of building itself. However, due to the technical possibilities at that time, his plan could only be partially implemented. Nested cubic bodies of different heights give the houses their shape. 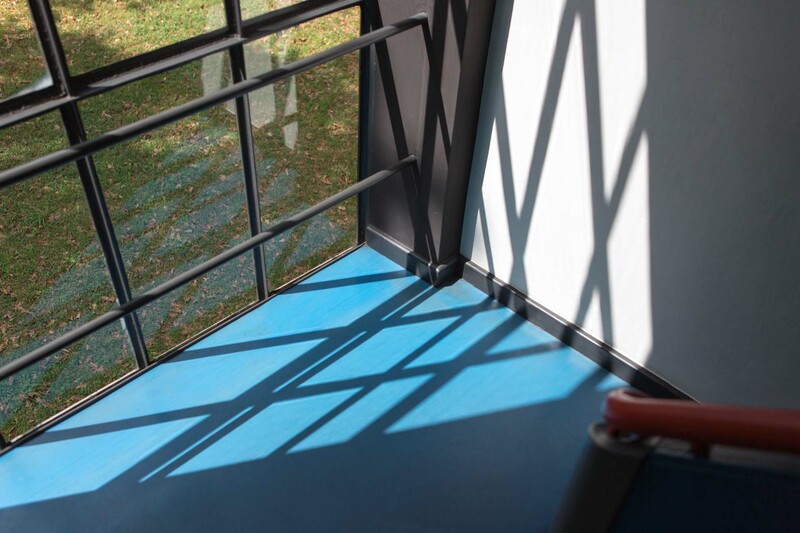 Towards the street, the semi-detached houses are characterised by generously glazed studios, with glass bands on the sides illuminating the staircases. 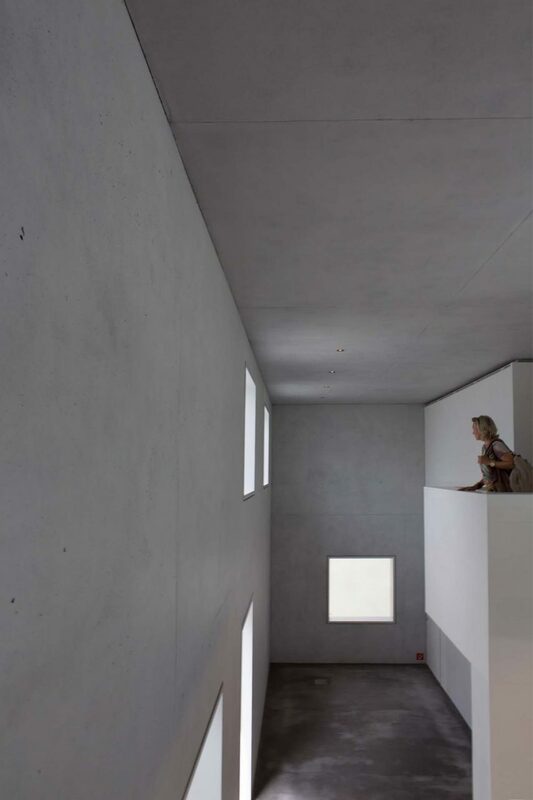 The director's house alone was divided by asymmetrically arranged windows. 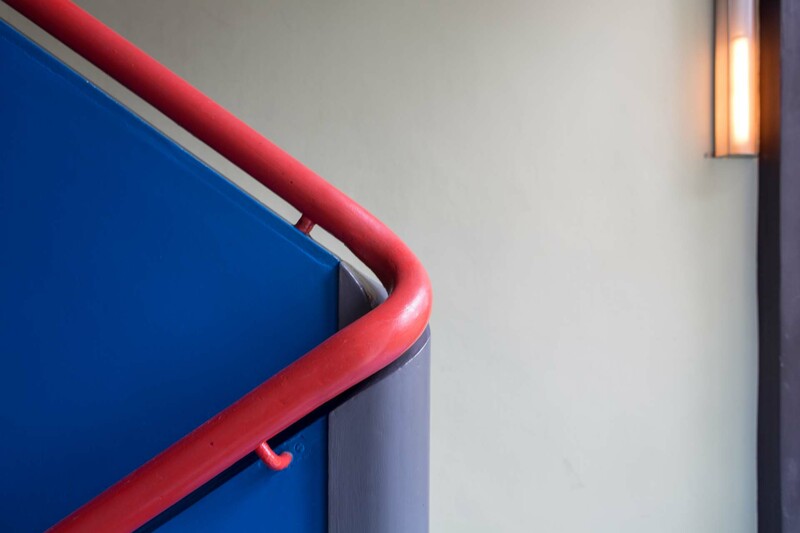 The brightly painted houses have spacious terraces and balconies, with coloured accents on window reveals, on the undersides of the balconies and on the down pipes.